Nathan A. Saunders, Civil lawsuit against Washington Teachers Union, et al. The parties hereto mutually declare that they share the common goal of providing the best possible, comprehensive, efficient and effective learning environment for students in the District of Columbia Public Schools. To this end, the parties commit themselves to a collaborative partnership that will continue beyond the tenure of those currently in leadership positions in each respective organization. Enhanced student achievement based upon high standards and expectations must be the driving force behind every activity of the District of Columbia Public Schools. Schools must be reinvented so that decision making is shared by those closest to students, including parents, teachers, and administrators. Defendants have not functioned as a union but as a conduit for illegal activity and for the personal enjoyment and enrichment with Plaintiff’s lawfully paid and required union dues. The WTU Constitution requires that all efforts, activities, and expenditures enhance its collective membership and the children of Washington DC. See Exhibit 2 -WTU constitution and bylaws. These Defendants used their positions of authority, confidence, and access to the WTU treasury to the detriment of the Plaintiff. Defendants’ selfish actions shocked the consciousness of Plaintiff and have undermined Plaintiff’s political and economic power and similarly situated District of Columbia Public School Teachers. In 2002, Plaintiff noticed a $160 union dues deduction from his paycheck for union dues. Plaintiff thought it odd as he knew normal deductions was approximately $24.00 and he knew the constitution and bylaws forbids any increase over approximately 1.5%. WTU’s constitution also has specific provisions requiring a vote by the general membership for all increases. Defendants acting in their aegis as WTU officials blamed the deduction on the District of Columbia Public Schools. Plaintiff learned that a telephone call would result in a refund. Plaintiff call WTU , who then stated that WTU now has a new policy which required a letter of request to be faxed into their offices. The Plaintiff complied. WTU still did not return the improper deduction. On November 21, 2002, Plaintiff and approximately 50 other disgruntled union members organized simultaneous demonstrations and pickets at Defendants AFT and Defendants WTU offices. Plaintiff secured all demonstration and picket permits. See Exhibit 6, 6.1 and 6.2. The Plaintiff organized a movement known as the "Strong Teachers Grassroots Movement." He wrote and published articles in the On line magazine known as DCWatch.com in the Public Schools Section. See Exhibits 7 and 7.1. Still, Plaintiff’s money was not returned. Defendants and their agents attempted to control the agenda and stir all discussions away from the issue. Defendants made direct appeals to not discuss the issue and verbally chastised Plaintiff and union members who demanded information and their money back. Defendants stated the FBI forbids them from discussing any financial information with the general membership due to an ongoing investigation. Plaintiff’s knowledge of the law tells him the Defendants were issuing general misinformation in an effort to cover-up the facts. Defendants stated and implied continued attempts, by Plaintiff and other members, to obtain their refund would bankrupt the union, result in losses of raises, and in formal trusteeship by Defendants AFT and other ruinous actions. The Plaintiff viewed those measures as punitive actions impacting future job security. Certain fanatical Defendants, who previously took the oath of office to maintain and protect the general membership, stated publicly that they would not support any efforts to refund the improper union dues deduction. In obvious disregard for the general memberships well being, numerous Defendants stated, "The union can have my money (referring to the $160.)!" The Plaintiff asserts the Defendants, individually and collectively, are not capable of performing their fiduciary responsibilities on behalf of Plaintiff or the other approximately five thousand members of the Washington Teachers’ Union. The Plaintiff verbally supported and addressed the general membership in an effort to have all monies improperly taken from the membership repaid and another motion to explain the current finances of the union. See Exhibit 8 and 8.1. These motions were overwhelmingly approval by the general membership. Time frames for refunds and financial disclosures have expired and Defendants have not acknowledged or repaid Plaintiff. Plaintiff remains doubly penalized because his wife, a School Psychologist, is a similarly situated dues paying union member! Based on reliable sworn statements and Affidavits accepted as fact by the U. S. District Court, and review of certain WTU’s financial records, Plaintiff now knows the Defendants have created fraud against him. He has learned that the government's ongoing investigation has developed "probable cause" to believe that several Defendants engaged in a conspiracy to and committed numerous serious felony offenses against the United States, in violation of Title 18, United States Code, Section 371, including but not limited to using the mail and wires to defraud and deprive another of money, property, and its intangible right to honest services, in violation of Title 18, United States Code, Sections 1341, 1343, and 1346; false statements, in violation of Title 18, United States Code, Section 1001; money laundering, in violation of Title 18, United States Code, Sections 1956 and 1957; embezzlement from a labor union, in violation of Title 29, United States Code, Section 501(c); and tax evasion, in violation of Title 26, United States Code, Section 7201. See Exhibit 9 – Special agent Katherine Andrews, Affidavit in support of search and seizure warrant for officers of the Washington Teachers Union and Others. The Plaintiff further learned that much, if not all of his dues paid to WTU were redirected by the Defendants. The Plaintiff’s lawfully paid dues were probably used for expenditures included but not limited to purchases of art, jewelry, haute couture (including custom-made dresses, shoes, and furs), food and wine, wigs, and antique furniture. Among these purchases were: a $20,000 mink coat, along with other mink coats; nearly $500,000 in custom-made clothing from a Baltimore clothing maker known as Van Style, which clothing is believed to be maintained at her District of Columbia residence; more than $9,000 at retailer Bloomingdales; more than $9,000 for clothing and accessories from a Florida vendor known as Body Scentre Limited; more than $11,000 in purchases from a retailer known as Friedman's Shoes in Atlanta, Georgia; more than $5,000 to Galt Brothers Jewelry in Washington, D.C.; more than $5,000 to Graffiti AudioVideo for electronic equipment; more than $12,000 at retailer Hecht Company; more than $3,000 at the Hermes Boutique in Vienna, Virginia; more than $5,000 for bedding and a desk pad from the Horchow Collection; more than $6,000 to vendor J. Crew; more than $15,000 to vendor Jacobson Stores, Inc., for St. John Knit apparel; more than $4,000 for merchandise from Little Switzerland JNU, in Juneau, Alaska; more than $60,000 to MS Rau Antiques in New Orleans, Louisiana (including $57,000 for a 288-piece Tiffany sterling silver set); more than $17,000 to Miller Furs; more than $150,000 at retailer Neiman-Marcus; more than $50,000 at retailer Nordstrom; more than $4,000 at beauty salon Oriental Oasis; more than $25,000 for services of the Parkway Custom Dry Cleaners in Chevy Chase, Maryland; more than $9,000 to Ramee Art Gallery in Washington, D.C.; more than $40,000 at retailer Saks Fifth Avenue; more than $50,000 at a vendor known as Snazzy Limited in Orange Park, Florida; more than $4,000 at the St. John Boutique in Beverly Hills, California and New York, New York; more than $2,500 for china or crystal from The Lenox Shop in Williamsburg, Virginia and Prince William, Virginia; more than $6,000 in gourmet kitchen equipment from retailer Williams- Sonoma; almost $4,000 to jeweler Tiffany & Co.; more than $20,000 to the Atlanta gallery of the artist William Tolliver; and more than $7,000 to Wagner Opticians. Since Plaintiff believes AFT has colluded with the other Defendants, Plaintiff has no other recourse but to the honorable court. Defendants Bullock, Hemphill, Baxter and Hankerson knowingly made statements and actions which were intended to bilk the dues paid and personal finances of the Plaintiff and approximately five thousand other teachers and the children of the D. C. Public Schools. Each of these Defendants engaged in individual and/or collective fraud related activities. Current Interim President and formerly general vice president Defendant Hankerson has admitted she made "errors" but subsequently corrected them by allegedly repaying funds to the union. Her admissions of recent errors were admissions of personal fraud which abridge her capacity to serve as elected official of WTU and definitely not as it’s interim or permanent president! Defendant Hankerson who formerly held the position of General Vice President manipulated since 1994, this previous volunteer position into a paid position while maintaining the same duties and responsibilities, without the consent of general membership as required by the constitution and bylaws. Defendant Hankerson is just as guilty as Defendants Bullock, Hemphill, and Baxter. All of these Defendants plundered WTU’s treasury for personal gain and enjoyment. They used credit cards, false companies, family members, check kiting, outrageously paid ghost employees, and subsequently hid the items and the truth from the Plaintiff and other union members. The remaining Defendants’ actions and/or lack of actions have resulted in material losses of funds and lack of confidence in their continued stewardship. Review of Forms LM-2, which are filed annually with Department of Labor, and Internal Revenue Service Forms 990 evidence lack of internal controls and a failure to perform fiduciary responsibilities. AFT's constitution required all of its affiliated unions to perform an audit or review of its finances every two years and to submit a written report of the audit or review, which would be available to the membership of WTU. During at least the period 1998 through 2002, WTU, under the defendants leadership failed to perform fundamental fiduciary responsibilities. Their consistent and continual shortcomings allowed gross mismanagement of Plaintiffs valuable resources. The WTU constitution and bylaws require the Executive Board and the Board of Trustees to report to the membership quarterly as well as annually prepare budgets and demonstrate a timely review of all financial records. These Defendants did not perform these duties either and their inaction allowed widespread corruption, graft, and nepotism to the detriment of the Plaintiff. Instead the Defendants filibustered, colluded and assured the Plaintiff all was well with his union, manipulated the quorum counts, denied access to the records and membership discussion floor to discuss the topic with the general body. 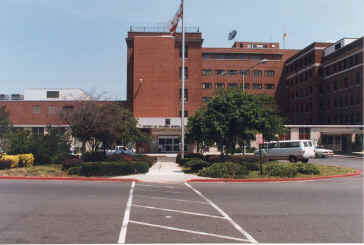 Defendants met in numerous District of Columbia Public Schools including Plaintiff’s school site- Anacostia Senior High School- and stated Plaintiff nor his colleagues should talk to the news media or the FBI. Defendants AFT also owed a fiduciary relationship via its contractual relationship to the Plaintiff, which they miserably failed. Defendants AFT received portions of the Plaintiff union dues knowing that were improperly deducted from Plaintiff and knowing AFT did not provide proper oversight or due diligence. Defendant AFT was not entitled to the "per capita" payments which they received. Mandate complete restitution at the allowable rate of interest, placing liens on their individual assets and estates until WTU is completely repaid in full. Order Defendants AFT to repay all "per capita" payments for years which it did not exercise its proper oversight responsibilities. Order all guilty Defendants permanently barred from holding any position of confidence or authority within WTU and/or AFT. Pay Plaintiff’s court cost and applicable fees associated with this litigation. Appoint Plaintiff court representation consistent with LCvR83.10(a). Said counsel can be paid out of disputed union dues in WTU’s treasury. Normal union business practices would entitle Plaintiff to proper representation had his work related issue not involve his local and parent unions affiliate as defendants. Services would entitle Plaintiff to proper representation had his work related issue not involve his local and parent unions affiliate as defendants. Destroy records of WTU evidencing improper wrongdoing. Provide written notice to the court and all vested parties of any discussions or actions against Plaintiff or his immediate family within 72 hours before taking commencement. Inform the court of any conversations or action with management pertaining to Plaintiff or his immediate family. Escrow or set aside and properly account for Plaintiff’s union dues payments without penalty for 180 days. WTU will be allowed to operate and strictly follow its constitutionally mandated mission upon submitting a budget to be approved by the court during 180 restraining period. Require Defendants to pay Plaintiff’s legal fees associated with his complaint as normal union business practices would entitle him to proper advocacy in this work related function, by his union if the defendants were not his union. Ester Hankerson, Individually and as Executive Board Member et. al. Plaintiff mailed a courtesy copy using certified mail return receipt requested to the Defendants local office at 1717 K. St. NW, Suite 902 Washington, D.C. 20036 and Defendants National Office at 555 New Jersey Ave. NW, Washington, D.C. 20002 on December 27, 2002. The question of whether teachers will lead the fight to clean up its union and address educational issues in the Washington D. C. is being affirmatively answered-Yes! On Friday, December 27, 2002 a District of Columbia Public Schools Teacher and WTU-AFT Local #6 Union member filed a civil lawsuit in United States District Court for the District of Columbia. This suit purports wholesale fraud, negligence, and breach of fiduciary responsibilities concerning union dues which approximately five thousand (5,000) DC Public School teachers are required to contribute as a condition of employment. Case number 02cv02536 is a multi count civil action holding the former Union President Barbara Bullock, current Interim President Ester Hankerson, the Executive Board and Board of Trustees of the Washington Teachers Union, corporately and individually, and the American Federation of Teachers AFL-CIO, responsible for abuse of his lawfully paid dues for private enrichment, enjoyment, and entertainment. This civil complaint is a teacher’s action not to be confused with any criminal charges which may or may not be filed by the U. S. Attorney. Also filed was a Motion for Temporary Restraining Order to be heard by the court promptly. It constrains WTU to escrow and make immediate corrective actions with the hundreds for thousands of dollars it receives monthly from the automatic payroll deductions of teachers. This Plaintiff demands the Executive Board and Board of Trustees vacate their positions and hold new elections, immediately. Those Executive Board Members who proclaim that they did not know of the flagrant and horrific fraud should have known and those who did know stole from the teachers and the D.C. Public School children. This suit alleges all Executive Board Member who had check writing authority, access to credit cards, and to the teachers union dues embezzled including current President Esther Hankerson! Condemning evidence attached to the complaint is the complete FBI Affidavit used to secure the Search and Seizure Warrants in The US District Court. It lays out the previously unknown details of how DC Public Schools teachers have lost a minimum of $2 million dollars under the existing leadership’s mischief. The plaintiff welcomes support of other Public School teachers to join what should be a class action lawsuit to force accountability and progress of the Washington Teachers’ Union. Washington Teachers Union: Stolen money is not the biggest problem! Picture this. You see a robber hit an ailing old lady over the head. The robber enters her purse, boldly. Lets say the robber steals $800,OOO.00 The police arrive and immediately catch the criminal as he tries to flee. She informs the police she is 100% sure he is the robber. As the Police start to whisk him away, the senile little old lady says, "That's all right, Officer, although my body is bruised and my head is busted, I do not want to press charges. 1 will not press charges because l know this man and he can rob me as many times as he likes." The beaming robber is thanking God above for the incapacitated, senile, and elderly. The Police are flabbergasted and silently pledging to never again come to the assistance of this senile old lady. The universe is one step closer to chaos. Welcome to the Washington Teachers Union. Armed with my teacher union card, I was stopped three times before I was allowed to enter the monthly WTU Membership Meeting on November 25, 2002, at the Dunbar Senior High School. Reagan National Airport would have been proud of WTU's security checkpoints. Publishing an article titled, "Why Teachers Protested Against WTU/AFT and where our movement goes from here!" at http://www.dcwatch.com/schools/ps02l124.htm assured that I would receive extra scrutiny. The secrecy inside felt more like members of a loyal fraternity who killed a pledgee and are still hiding his body from his parents, police, and the college administration than like a meeting of professional teachers concerned with public education. No press was allowed. A normal WTU meting is legendary for not having a quorum or discussing little information worthy of the travel time. The recent meeting at Dunbar S.H.S. was different. The disappearance of union members' dues, a U. S Attorney's investigation, the general malaise of the union, and overall feelings of frustration by Washington D.C. Public School Teachers have generated tremendous interest. The WTU Executive Board is in grave trouble with the law, WTU members, and its ethical compass. Boldly and bluntly, the WTU leadership have literally helped themselves to or stolen a minimum of $8OO,OOO from Washington DC Public School Teachers and spent the money! The obvious culprits: expensive digs (that K St., NW, office space), living high off the hog (luscious artwork, bloated staff with high salaries, chauffeurs and limousines), are part of the problem. WTU cannot repay the money it owes DC Teachers because it does not have it, nor are its leaders willing to say what they did with it -- given the subpoenas and the US Attorney's investigation. Union members were visibly angry and verbally confrontational when some WTU executive board members stated loyally, "The union can have my money." The WTU Executive Board's fiduciary blindness and ethical lapse is greater than the theft itself. Above all, the real larceny is the fact that the WTU has failed to take advantage of the privileged opportunity to lead the professional advocacy movement for teachers, students, and their families in the District of Columbia. The strength of this union is essential to maintain balance in the world of public education. The WTU is designed, via its charter and constitution, to protect the interests of both its teacher members and of students. The current constitution allows the WTU to advocate the maintenance of healthy teacher student relationships, recognizing that classroom teachers are where the instructive rubber meets the road. Classroom teachers are the masters of the lesson plan. Classroom teachers are the testers before and after the national assessment examinations are given. Teachers are called upon by parents, grandparents, stepparents, guardians, doctors, social workers, lawyers, and even judges to provide information of early signs of successes and failures of students. Unfortunately, classroom teachers are also defamed, vilified, and made the scapegoats of society's larger problems with youth. A working, functioning, and effective union can help to restore the balance. Students' reading, writing, and basic math skills are seriously deficient in the District of Columbia Public Schools. Not just at Anacostia SHS and Ballou SHS in SE, but also at Wilson SHS, the School Without Walls, and Banneker in NW as well. Across the board, achievement scores are low and barely holding that status. Reports suggest that more than 50 percent of our senior high school students cannot read above the basic level. And in the area of mathematics, results suggest, that from this same group of students 60 percent did not perform above the basic level as measured by the Stanford 9 Achievement Test. The WTU has failed to provide a comprehensive agenda for education reforms designed to make sure DCPS students stay in school and achieve more. Not a Superintendent Vance Plan or a City Council plan, but plans from the front-line licensed professionals who work with students on a daily basis. Educators are in the best positions to think creatively about academic challenges students face, to develop solutions, and create opportunities for student success. While vouchers and charter schools offer new competition, WTU remains silent on the crisis facing public education. The Greater Washington region's business and public leadership considers the under-achievement of DCPS students to be one of the chief threats to economic growth and well being. A key factor, however, in student achievement and involvement on a daily basis is the well being of the classroom teacher. Classroom teachers will be terminated, demoted, and harassed as a result of important issues that the WTU is not effectively addressing. For example, the new corporal punishment policy changes that will greatly affect teachers have not been appropriately discussed at the classroom level. Teachers have been terminated from their classroom positions and removed from school buildings in handcuffs, while others will face suspension and lose pay simply from breaking up a fight between students. Another important issue facing educators is the impact of judicial policies that mandate students to reenter schools after arrest -- sometimes without the mental health or other social service support they may need in order to integrate successfully. Again, a fully functioning WTU has not weighed in. Some classroom teachers share a close bond with their students -- closer than the bond they share with their own families -- as the teacher is consistent in their lives and students see a model of behavior they often want to emulate. And yes, teachers are paid to teach but they are also teaching the total student. They are feeding, clothing, and sometimes even making sure students have a warm place to go at the end of the day. One teacher, a silent hero, has foster parented, without remuneration, the infant of a pregnant graduating senior so the student could go to college. Upon her completing college, the teacher returned the child to her young mother. This is only one example of the valuable work classroom teachers are doing every day. Most members of the general public do not know the real value because the WTU is not functioning effectively. All too often teachers are wrongly blamed for lack of student achievement, when the culprit is more sinister arid definitely not singular. The WTU situation is everyone's problem -- not just the union member -- because it is part of the Washington, D.C., public education crisis. The stakeholders vested in education must show up to the table in support of classroom teachers and their active involvement in education issues. The stakeholders include but are not limited to Mayor Williams, the City Council, the Board of Education, Superintendent Vance, the Greater Washington Board of Trade, the DC Chamber of Commerce, the Federal City Council, the University of the District of Columbia, financial institutions, the public interest legal community, teachers, parents, and students. The WTU Executive Board must be discouraged from abusing its membership and privileges, nor must it be allowed to remain silent on teacher readiness or student performance. It cannot be a wholesome partner in the community until it corrects its course. The question arises as to whether this is an attempt to bust the union. The answer is a solemn "No!" Classroom teachers and educators in general need a union -- a collective bargaining unit and advocacy partner. The WTU should always have teacher-based leadership. The stakeholders, however, can ask the questions, encourage forthrightness, trust, and honesty. They can demand that democratic principals and concepts be the order of the day, with sound management skills. Encouraging both strong leadership at the WTU and active classroom teacher involvement steers 68,000 District of Columbia Public school children closer to higher performance and greater skills to offer colleges and future employers.